The word submissive can sometimes have an undeserved bad connotation. If we are talking about a bully who is forcing another person into submission and fear, yes, that is a bad thing, a very bad thing. But when it comes to horses and their interaction with people, submission is not only necessary from a safety standpoint, it is desirable from the horse’s perspective. 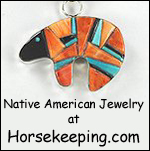 Horses feel the most secure, content and untroubled when they have a fair and capable leader. When there are no questions, when roles are clear, when the (human-horse) pecking order is established, a horse is submissive, calm and content. Once the partnership is established, often, all it takes is the touch of a hand to elicit that calmness. I’ve just started loping recently and when i do i feel like im gonna fall out of the saddle, and it makes me nervous. And sometimes i find it more difficult to steer my horse. Do you have any tips on this? 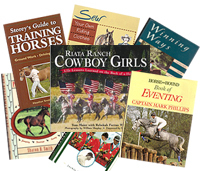 And also what’s the differences between loping, cantering and galloping? Your nervousness when loping is a common anxiety with new riders. I’ve answered similar questions on this blog. To search for topics, just type the subject in the search box (there is one at the top of the page and one in the right hand column) and click on Search. Here are the difference in the terms you ask about. 4. regrouping of legs or a moment of suspension. Canter is the term generally used to describe the gait of an English horse. 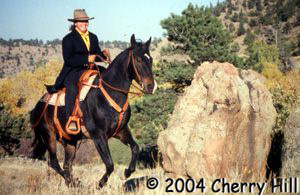 Lope is the term associated with a Western horse and is a relaxed version of the canter with less rein contact and a lower overall body carriage. An extended canter or lope (sometime called a “run”) is a canter/lope with a long, strong stride, head and neck reaching forward. The extended canter/run has maximum ground coverage per stride while retaining the tempo of the ordinary canter/lope. There should be no increase in the rhythm of the hoofbeats from a canter/lope to an extended canter/run – just an increase in reach. There should not be a shift into the gallop. The gallop occurs when the horse increases tempo AND length of stride so is maximally extended at full speed. It is a 4 beat gait because the diagonal pair work separately. 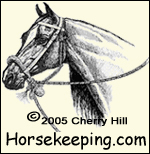 The term hand gallop is often called for in the hunter show ring. In many cases what is really desired is an extended canter. Put your hand in the center of the bottom of the steering wheel. If you want the back of the trailer to move to the left, move your hand to the left. If you want the back of the trailer to go to the right, move your hand to the right. For a sharp turn, turn the steering wheel before you press the accelerator. For a gradual turn, turn the steering wheel and press the accelerator at the same time. Once the trailer is going in the direction you want, you need to straighten out the truck wheels to have your truck follow the trailer.